JS MEYER is an American songwriter, multi-instrumental musician, and independent recording artist. For many years, he has performed his original music as a single, in duos, and with many professional groups throughout the U.S. Midwest. His passion for writing songs extends into his amazing ability to paint complete musical stories about people, places, and situations in songs that are written to convey meaning and purpose to life. All JS MEYER CDs are self produced beginning with the writing of the words and music to each song for guitar or piano. His inspiration comes from everyday experiences and everyday people. A lifetime of performing his own music over the years has sharply honed his song writing skills. He then arranges, produces, performs and records his music in his own studio in order to maintain complete artistic freedom. Musical influences are: Early Beatles, Peter Paul and Mary, Joan Baez, Ricky Skaggs, Alison Kraus & Union Station, Bob Dylan, Joni Mitchell, Jackson Brown, Eagles, Del McCoury Band, New Grass Revival, John Prine, James Taylor, Jim Croce...... just to name a few. 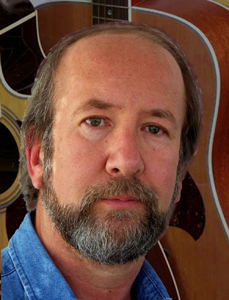 In addition to being a songwriter and musician, JS MEYER is also a husband/father and proud grandfather as well as an IT Administrator, inventor, and entrepreneur. Other interests are camping, bicycling, motorcycling and tractors. But most importantly, as a Christian and believer in Jesus Christ, he makes himself available for whatever GOD needs him to do for those around him. Living Side Records and Music was established to showcase the JS Meyer song catalog. In the words of JS Meyer, the lyrics are everything! A total of three CDs containing his most recent songs are available on this web site with new projects always underway. Thanks for stopping by! Please visit again !